Good timing for this article, considering the previous one and my comments about the BBC. The BBC is to hold an inquiry into the ‘heavy-handed’ tactics used to collect the licence fee. Stung by accusations that bully-boy measures are often employed on innocent people, the BBC Trust will investigate whether procedures are ‘appropriate and proportionate’. TV Licensing, the body which over-sees the collection of the fee, has been accused of a ‘Big Brother’ approach. The database contains 29.5million home, business and student addresses, and is supposed to show who has a licence and who does not. This always intrigued me. 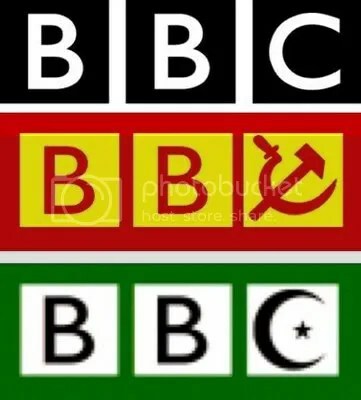 The mere possession of a television would empower the BBC to force you to pay them, whether you watched the BBC or not. Charles Moore, who has been campaigning against the tactics of TV Licensing in his column in The Spectator, said he had been contacted by a Hamspshire resident who had received 78 letters from it since 2000. TV Licensing said: ‘We do not presume that everyone is guilty of committing an offence, and do try to ensure that non-viewers are not overly troubled by our enquiries. They call not paying the Common Purpose Socialist Government Mouthpiece an ‘offense’. I refuse to pay the License Fee/ Tax. I have had these Brown Shirts knock on my door many-a-time. Simple solution. Look them in the eye, say ‘no comment’ and close it in their face. They want you to pay them the cost of a cable or satellite subscription just for one corporation’s trashy, repeated output. Still, there is nothing they can do. Not with their fraudulent ‘Detection Vans’ or their Gestapo tactics, but then again I’m not a pensioner, single mother or other such group that is easily intimidated by puppets with a badge, which is why they tend to focus on them. A colour licence costs £139.50 for a year, and black and white £47. Yes, let’s not forget that blind people get it half price. Stop paying your TV Licence fee NOW!